Arsenal could desperately do with a defender, but it appears that it will be Chelsea who will be the busiest of the Premier League big guns in the January transfer window. Andre Villas-Boas has already revealed that he is interested in signing Gary Cahill and talks have already been opened with Bolton over the central defender. There is also every likelihood that Cahill may be available for a cut price, given that he is out of contract in the summer and unlikely to sign a new one at Bolton. Cahill would serve as a suitable replacement for Alex, but the Brazilian is not the only player seemingly heading out of the Stamford Bridge exit after being put on the transfer list. Nicolas Anelka is also on the brink of leaving, but Villas-Boas has identified Milos Krasic as his possible replacement. 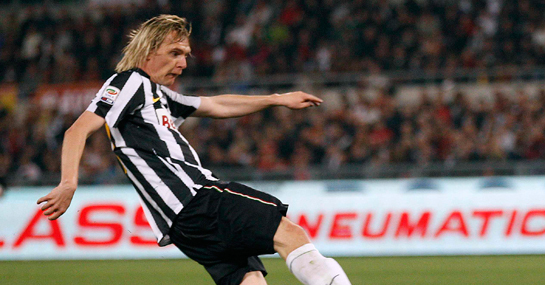 Krasic has fallen out of favour at Juventus despite being one of the stars of Serie A last season and could do with a move to reignite his career. He could be an ideal signing for Chelsea to increase their options out wide, while also helping Villas-Boas go one stage further towards assembling his own squad and gradually fading out unwanted players previously purchased by other managers. The one sticking point could be whether the deal is permanent or on loan, as Juventus would prefer the former, while Chelsea would rather the latter. Also on the Chelsea radar is Jack Rodwell, although Everton’s asking price may prove beyond their bounds, while there is talk that Gonzalo Higuain may arrive from Real Madrid as he battles for a starting spot with Karim Benzema. January reinforcements could boost Chelsea’s chances of finishing in the top four and this is available at 4/11 in the Premier League odds.